Kejsare Napoleons kröning 2. december 1804. Målat av Jacques-Louis David. Konsttryckt på duk i storlek 0,62 x 1,00 meter. 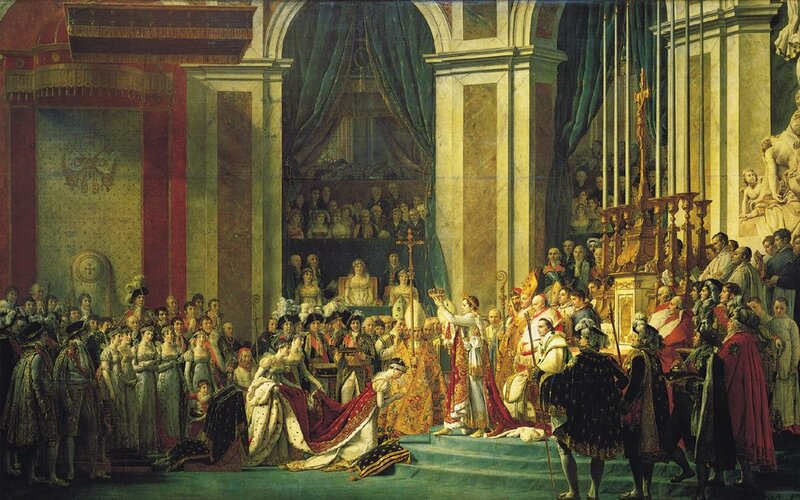 at the Coronation -- Napoleon desired that she be painted in. 21. ? Next to ? 41. ? Next to ? Jacques-Louis David -- the artist who painted this.